Josh Sims is a freelance writer and editor contributing to the likes of The Times, Wallpaper*, CNN and The Rake. He is author of several books including Icons of Men's Style and The Details (both Laurence King Publishing). 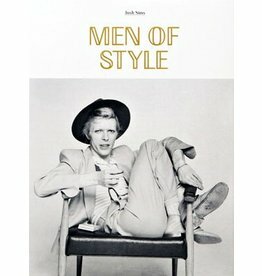 An elegant volume exploring the best-dressed men of recent centuries, from actors to statesmen and playboys to painters. An examination, garment by garment, of the history and significance of the most famous menswear products.